This lady had been having acrylic nails in Norwich for over one year. 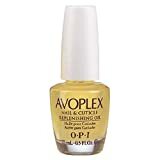 When it came to removing them or infilling them they used a electric nail file, which they used on her natural nail bed causing damage to the matrix of the nail. It was extremely painful and caused permanent damage, which will never recover. She has already gone two years without them and the damage is still obvious. It’s advised when removing non-porous gel or acrylic to leave a very thin layer to naturally grow out. 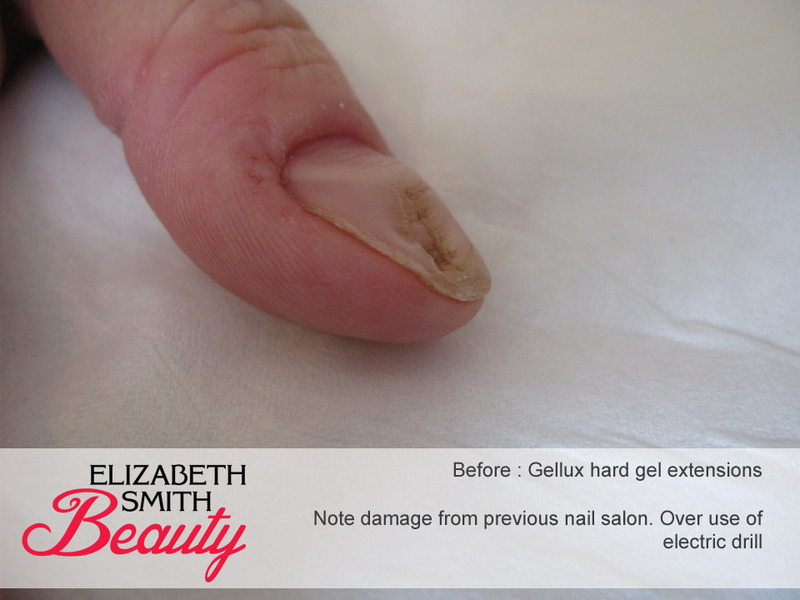 Never let anyone use an electric drill or buff on your nail bed to the extreme of causing pain. If electric drills are used correctly and people are trained to use them, they are a very effective and fast way of removing old gel or acrylic nails. I personally prefer to do it by hand as I feel I have more control. If you do go somewhere that uses an electric nail file and it starts to cause you pain get them to stop immediately. This should not happen if it’s used correctly. 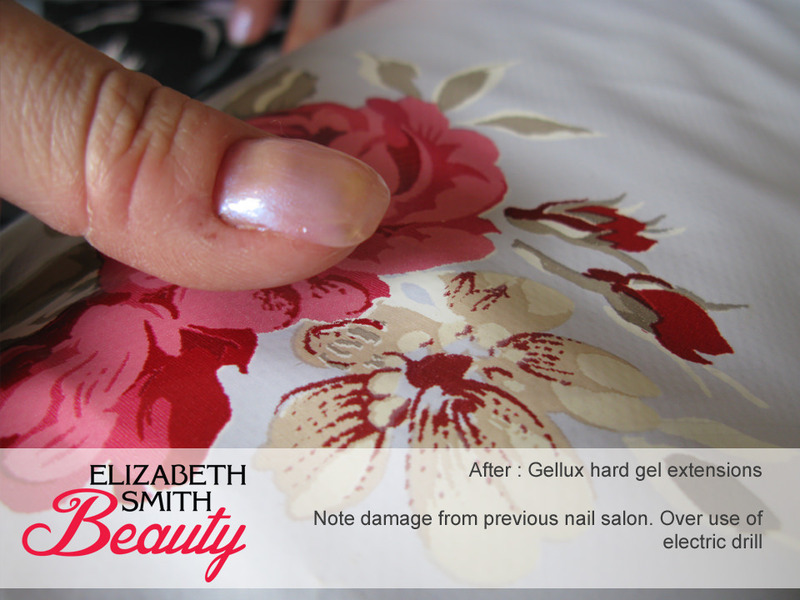 This lady was getting married and wanted a very natural look finish, so I decided to use Gellux hard gel to create very natural looking nail extensions for her nails. It took a while to do, but I slowly built up the nail bed with gel filling the hole used by the electric drill. We kept all of her nails very short, so they would be manageable with looking after her young child. I am really pleased with the result and feel it has covered up the damage extremely well. I personally don’t like the stick on white tips, so use foils under the nail to create a gel sculpture. I do minimal preparation on the nail bed by dehydrating the nail with alcohol first and cuticle work. I rarely buff the nail bed as the bonds on the market now are extremely effective without needing to do this. 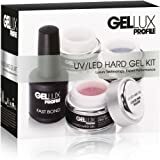 On my own nails I use Gellux gel polish, which lasts 15 days without chipping or peeling on average. This product is excellent as it causes no damage when removed correctly and dries under UV light. I charge slightly less for this manicure as I give people the option of removing it at home.To find out more about the treatments I offer visit my website or facebook page.